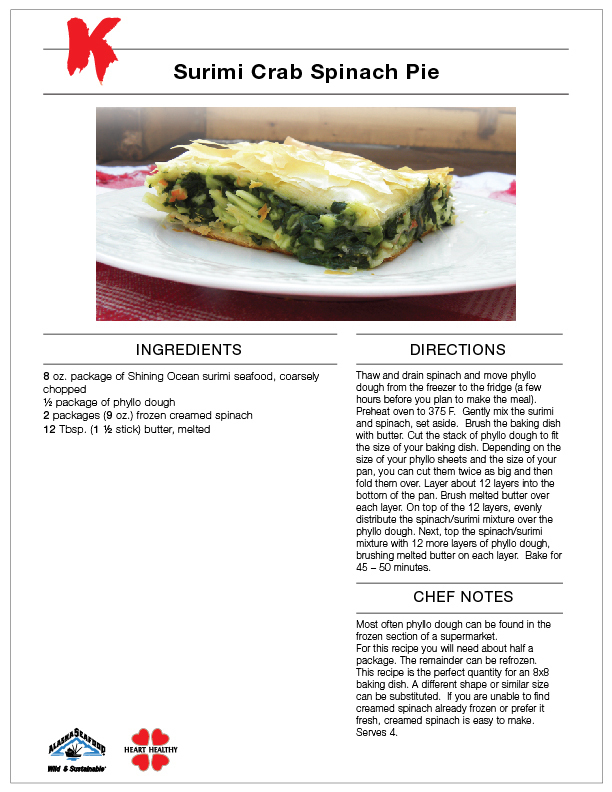 Shining Ocean is lucky enough to be in the food business. 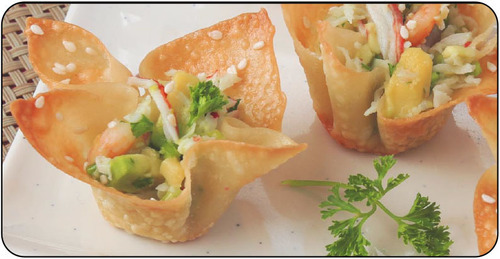 We hope that you are as passionate about food as we are. 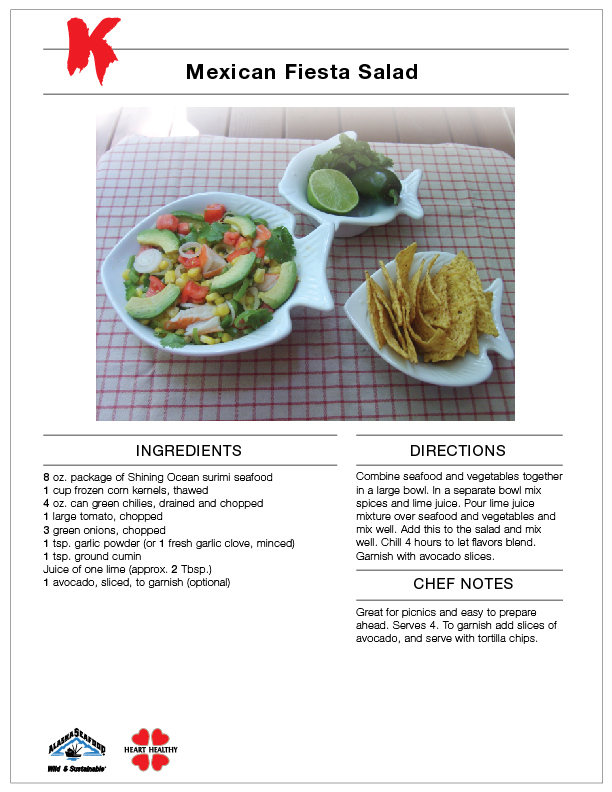 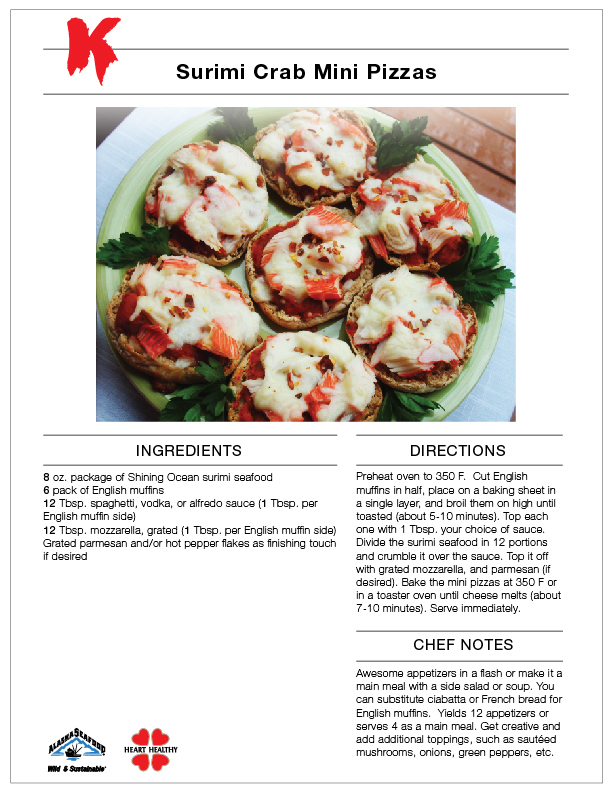 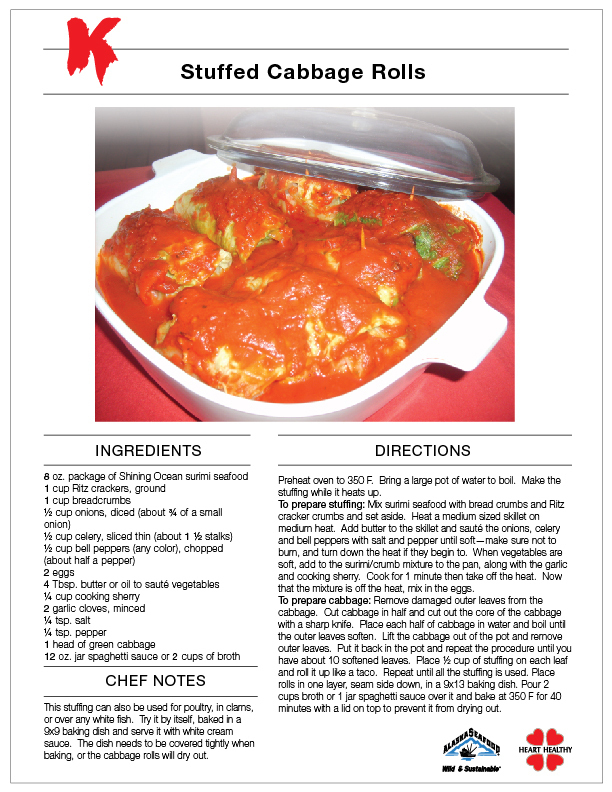 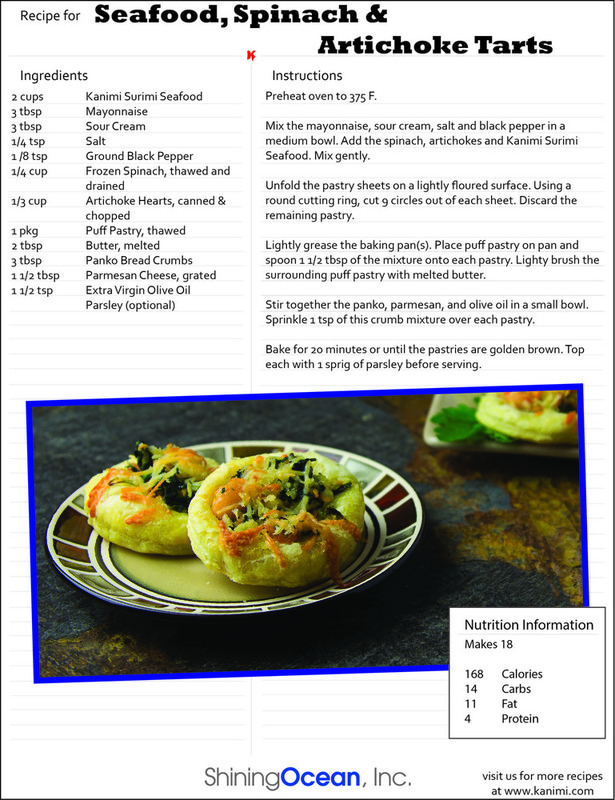 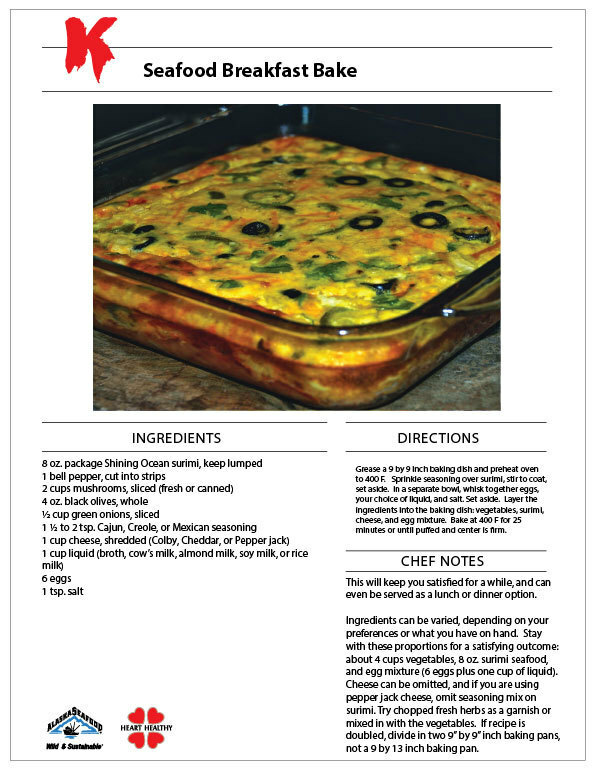 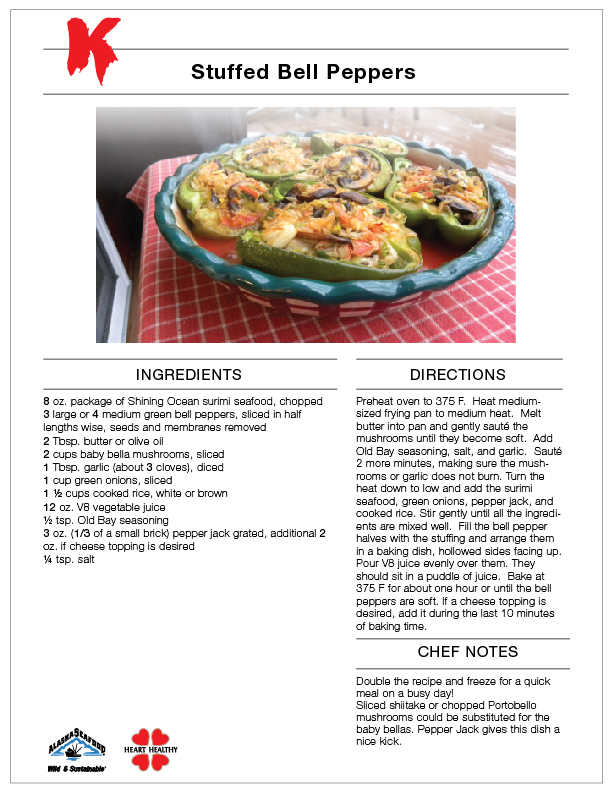 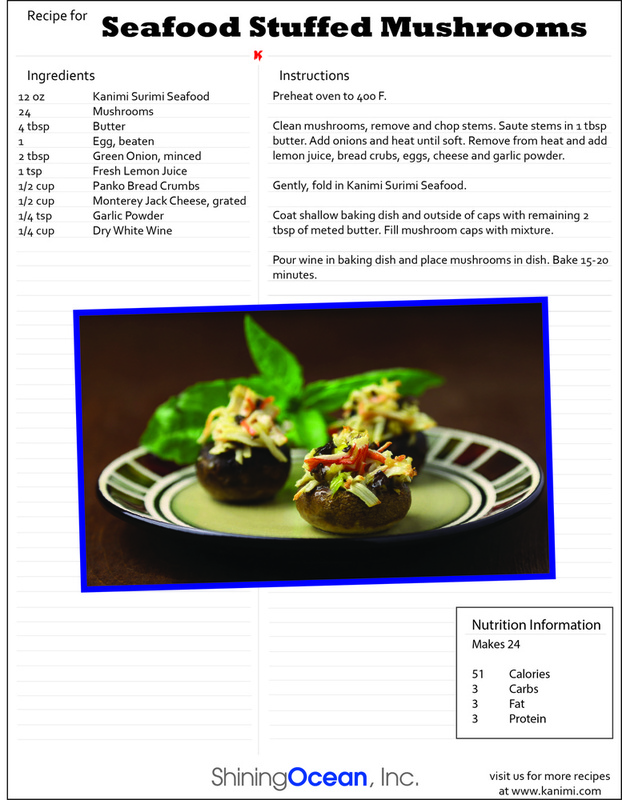 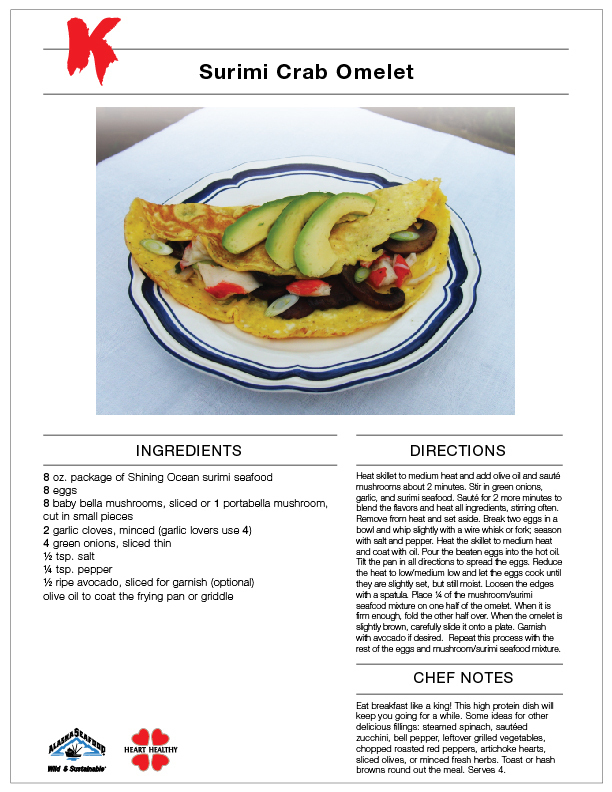 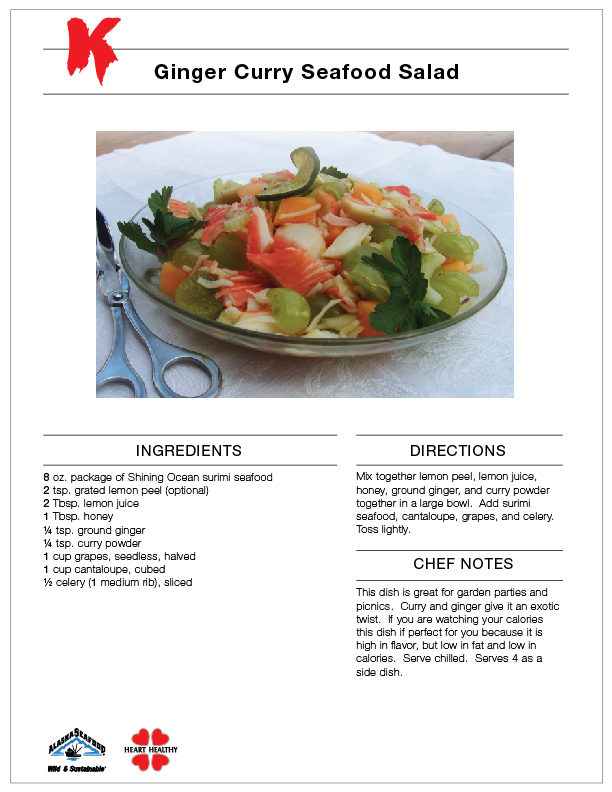 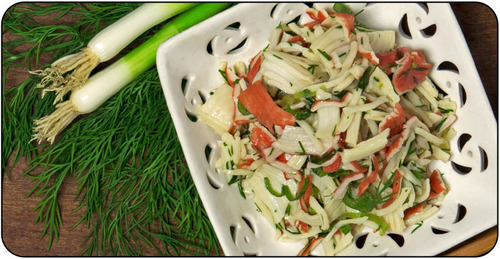 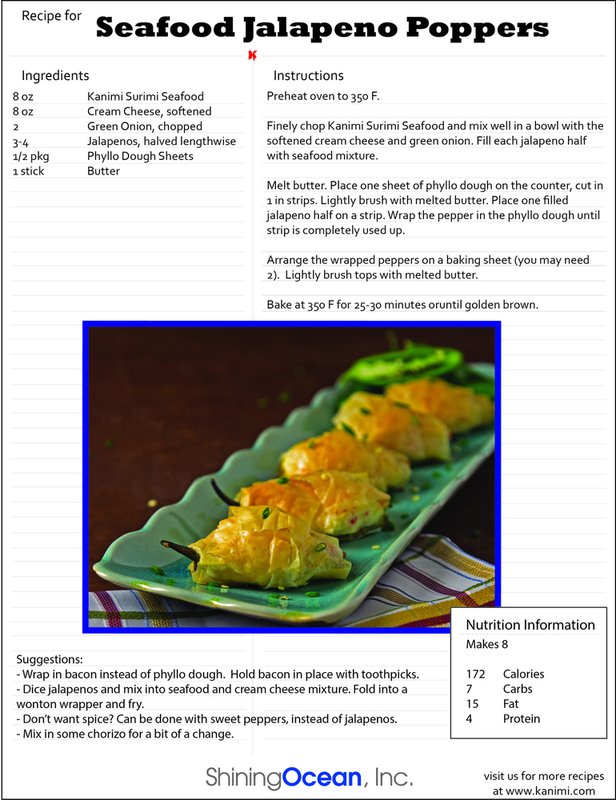 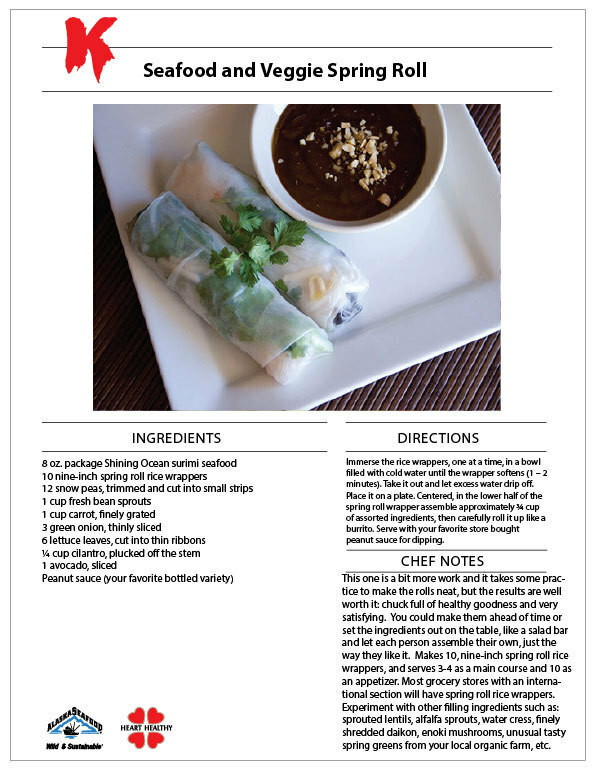 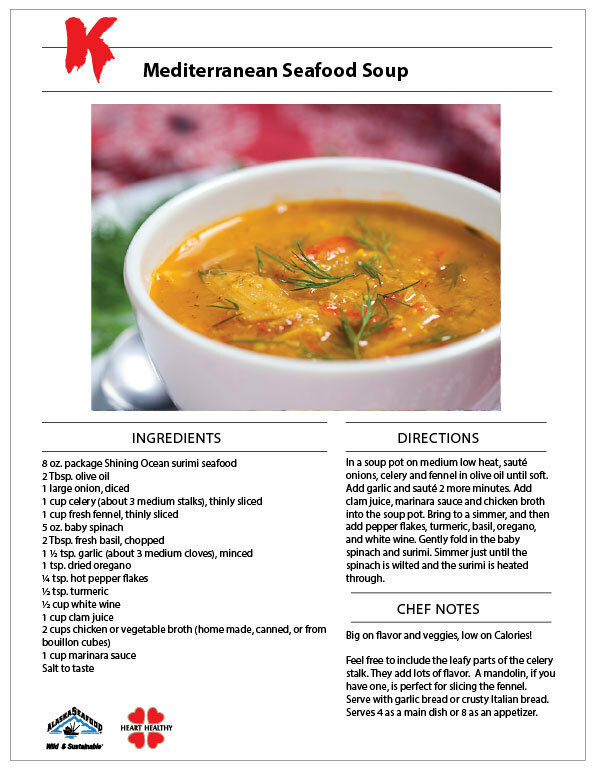 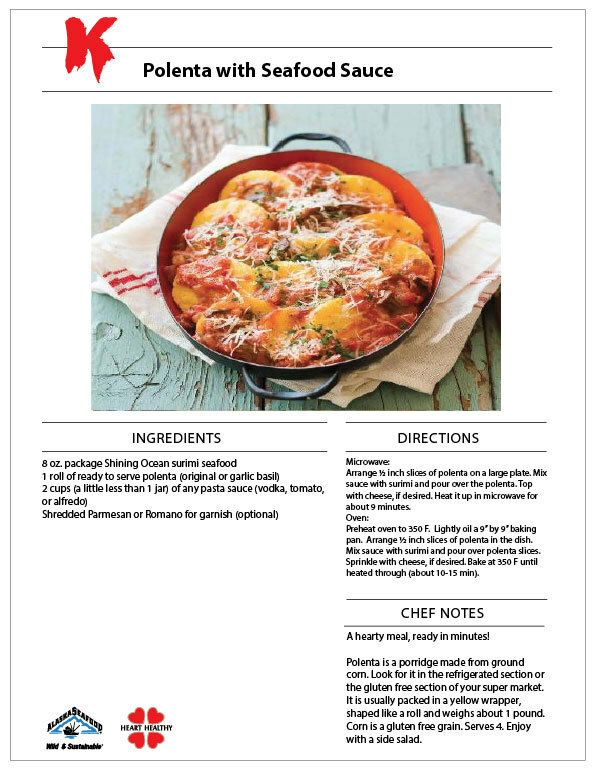 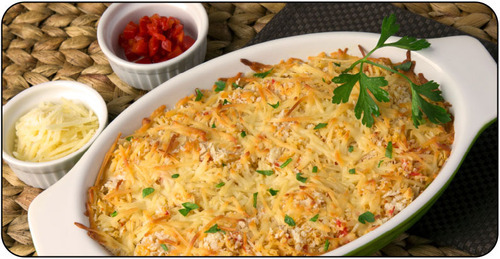 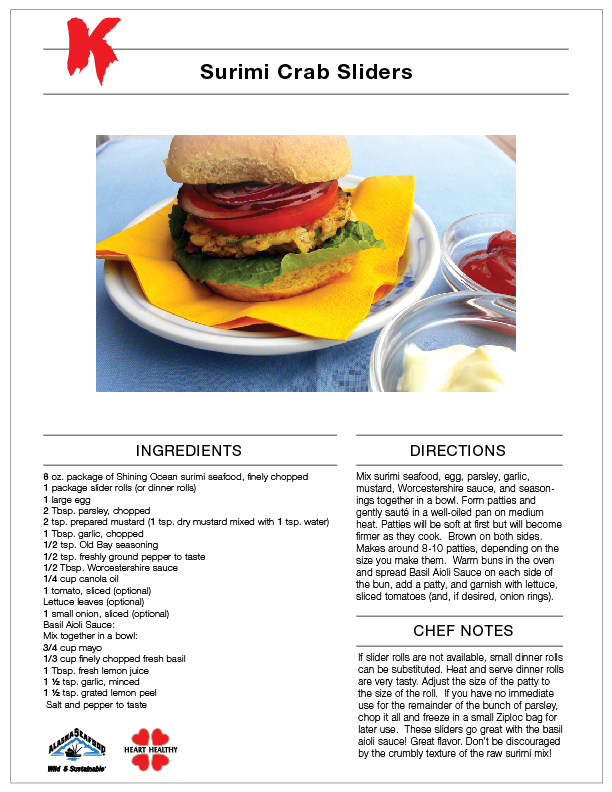 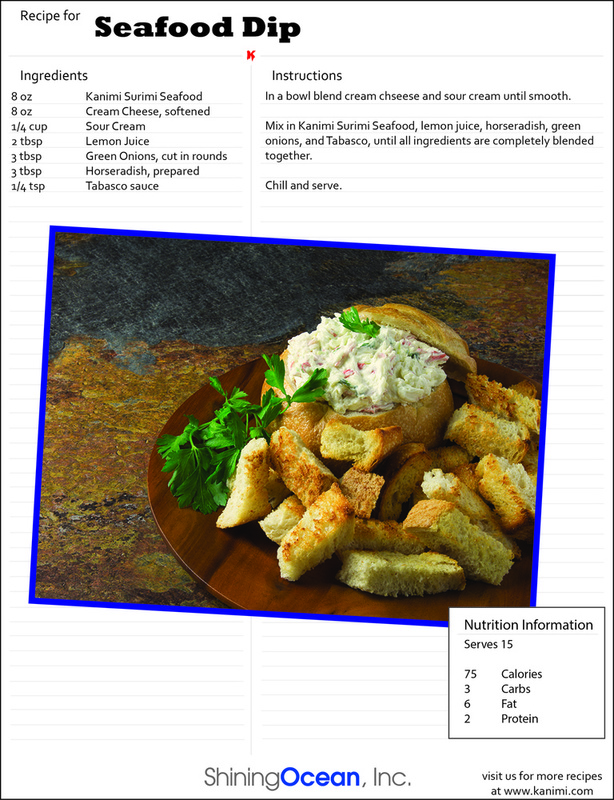 We offer these recipes in hopes that you will enjoy making and eating them in your home. 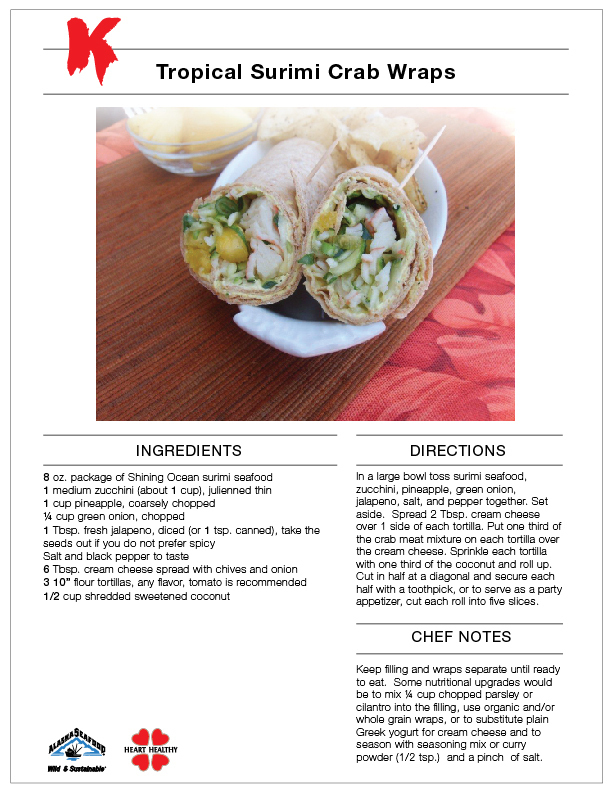 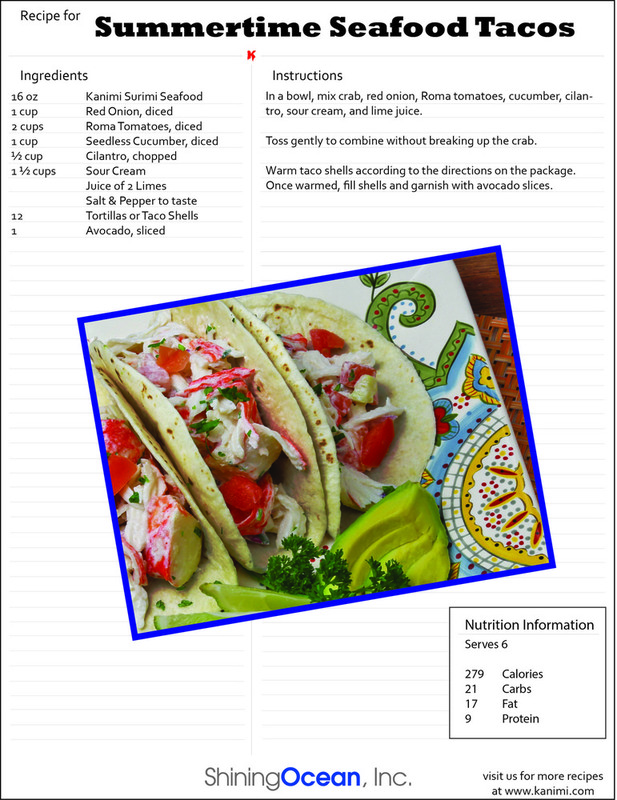 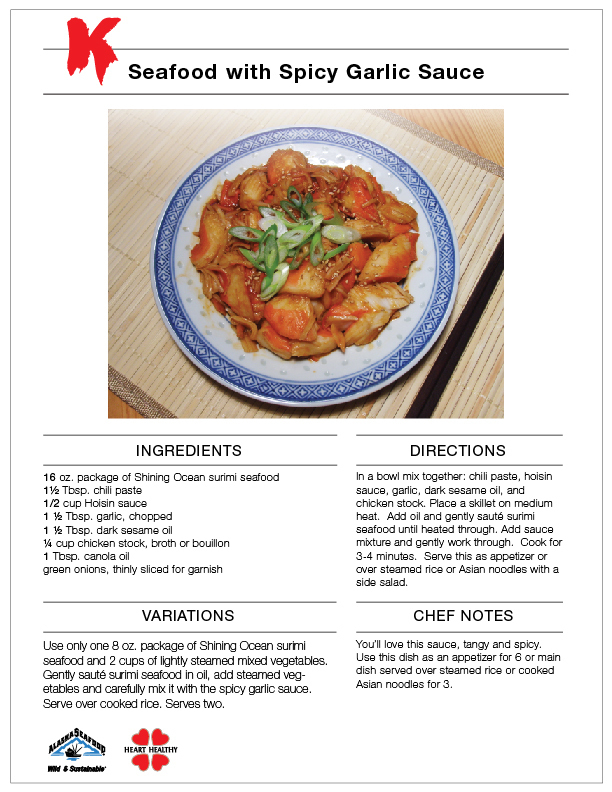 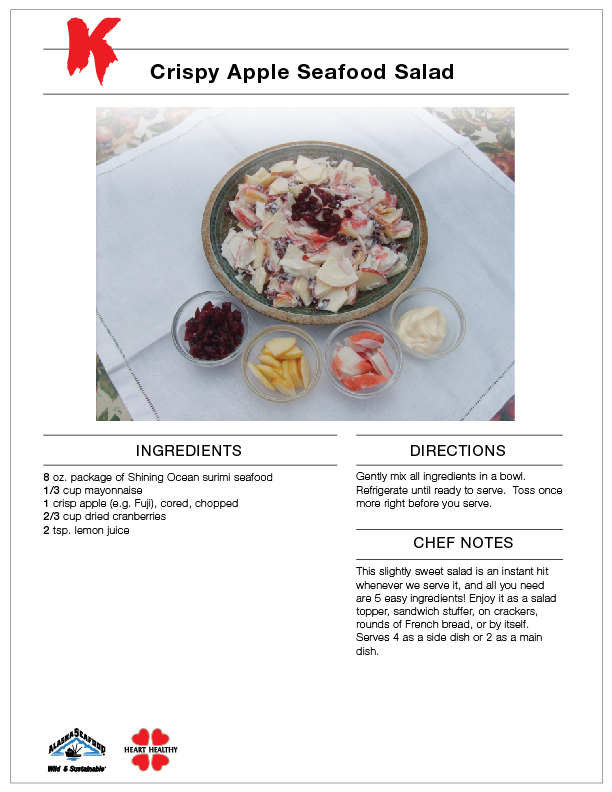 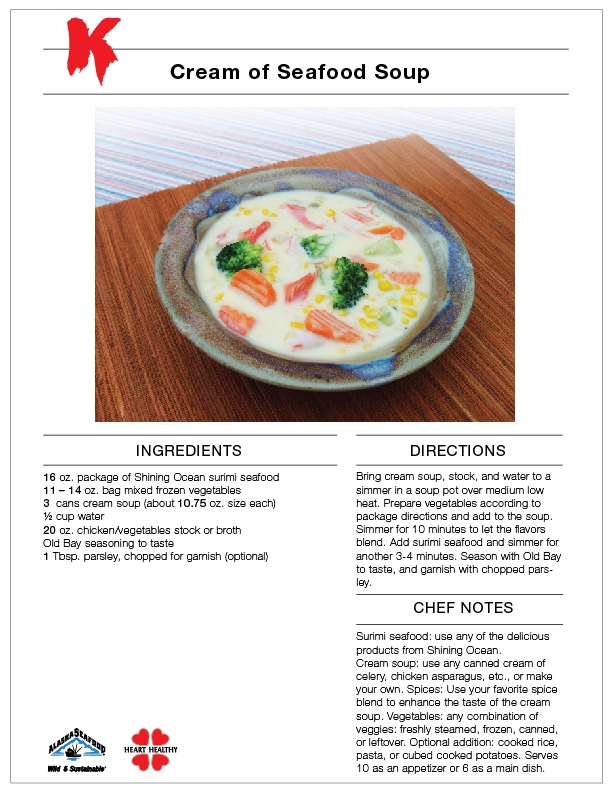 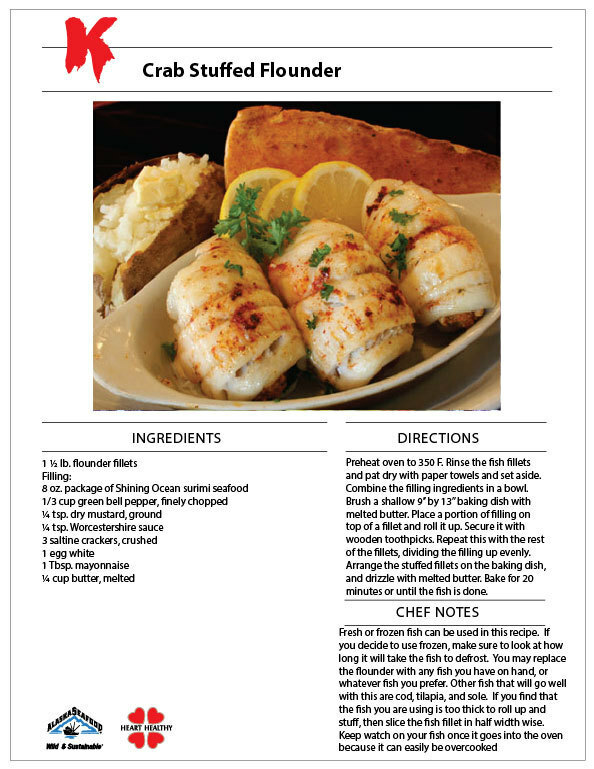 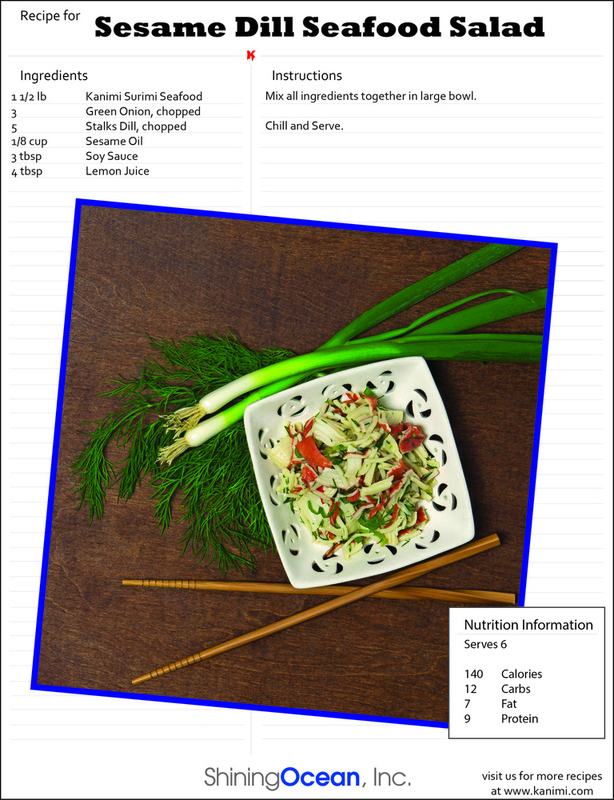 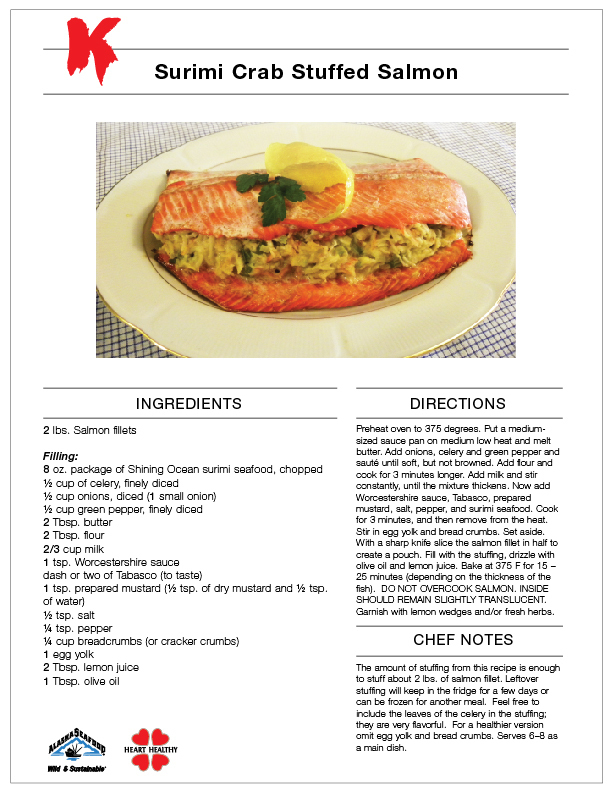 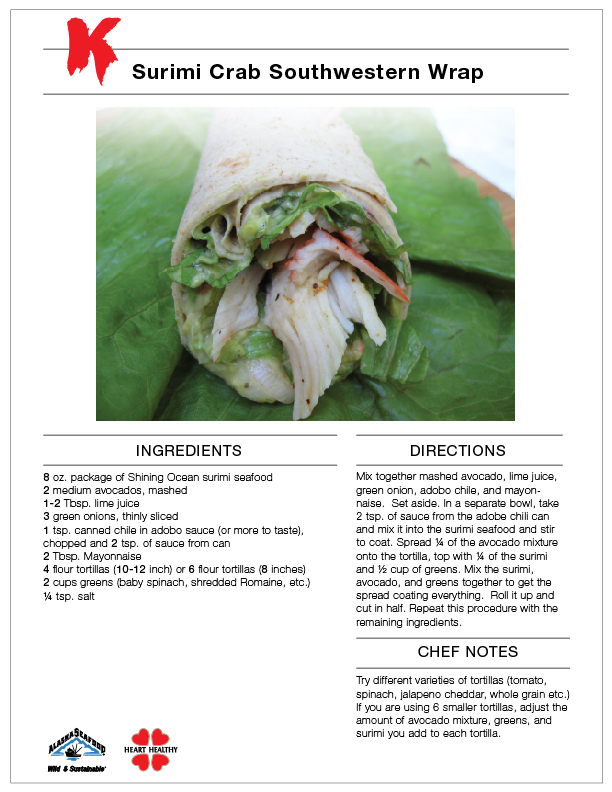 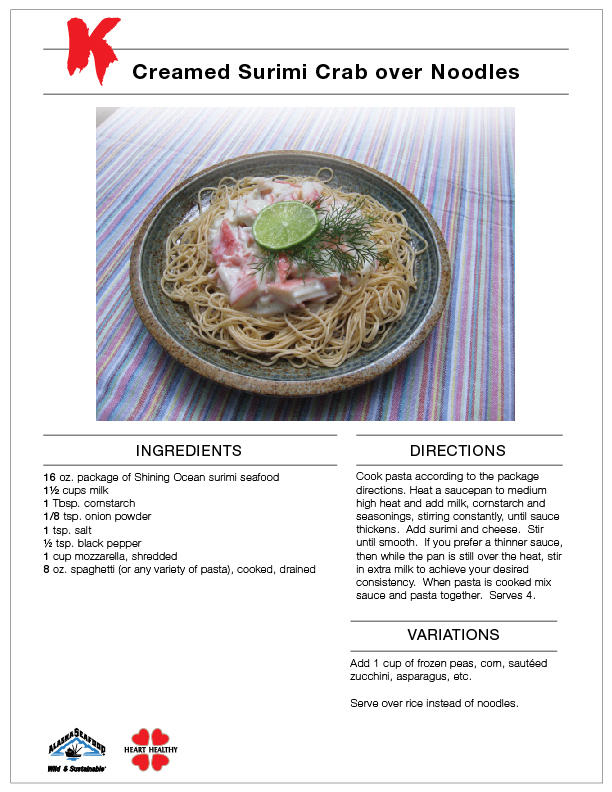 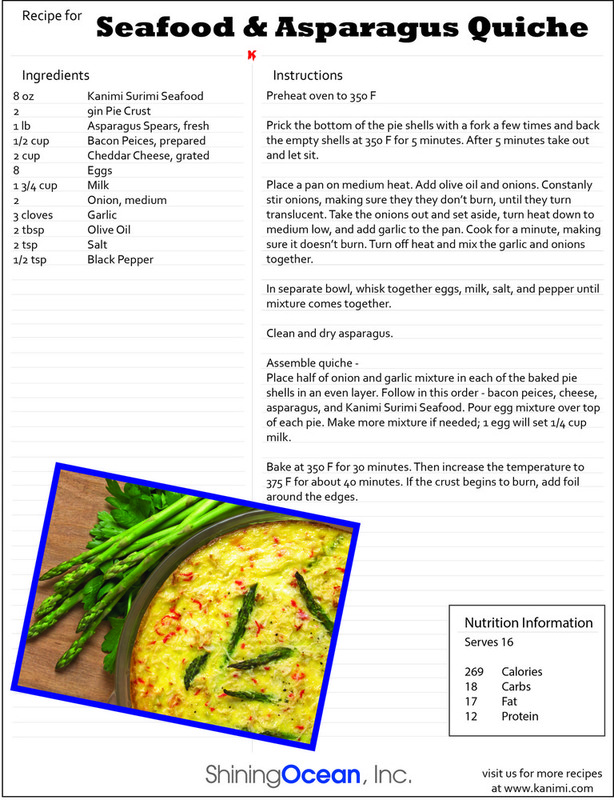 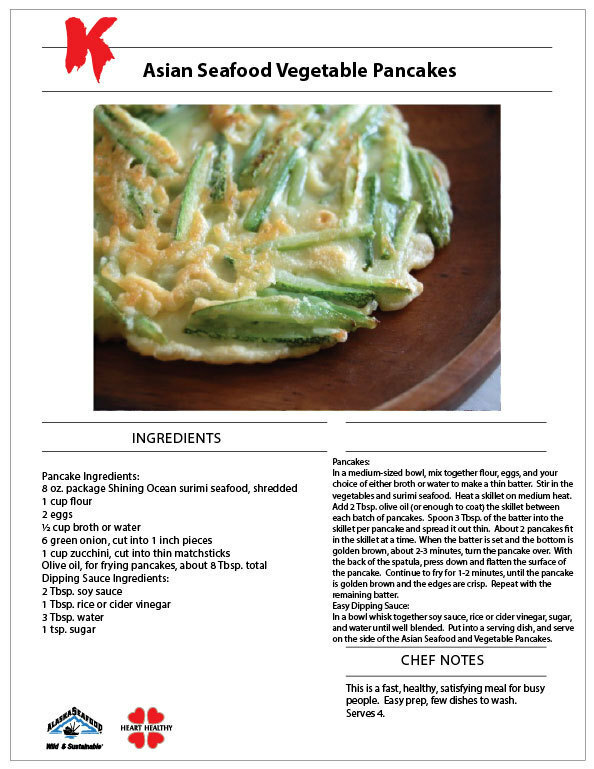 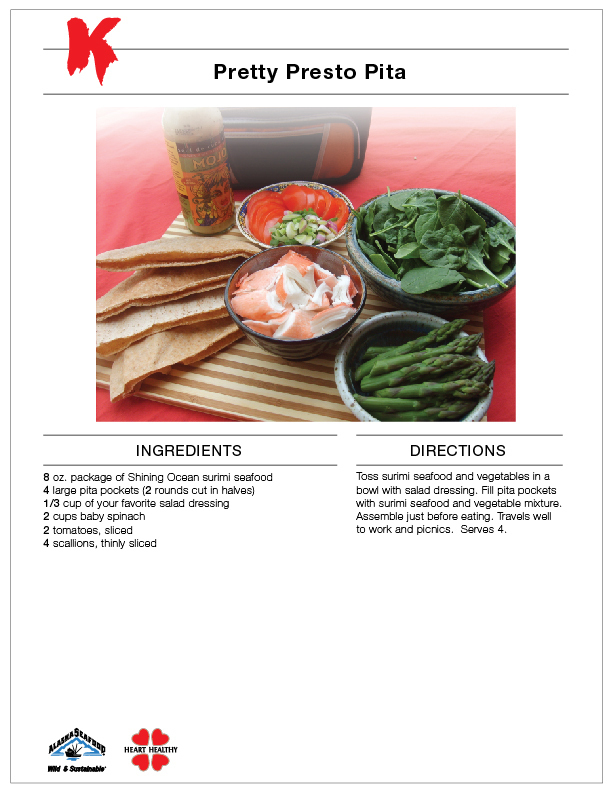 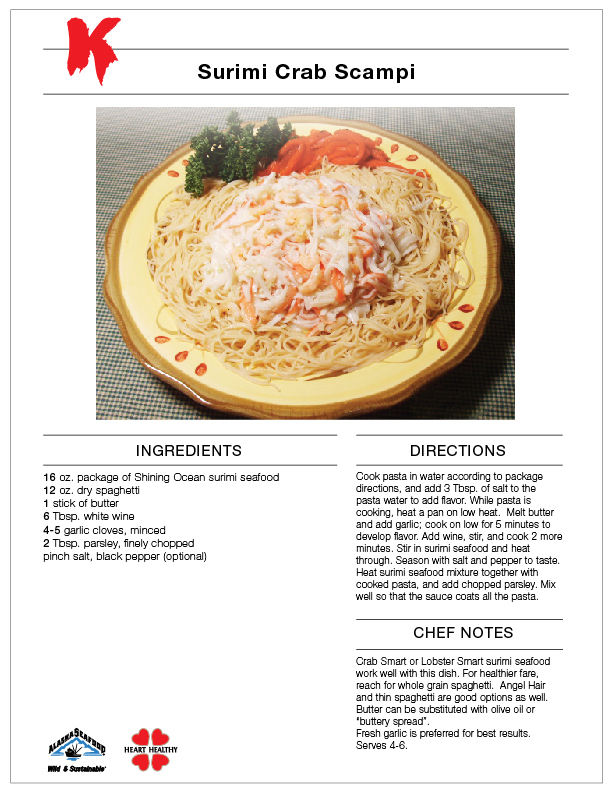 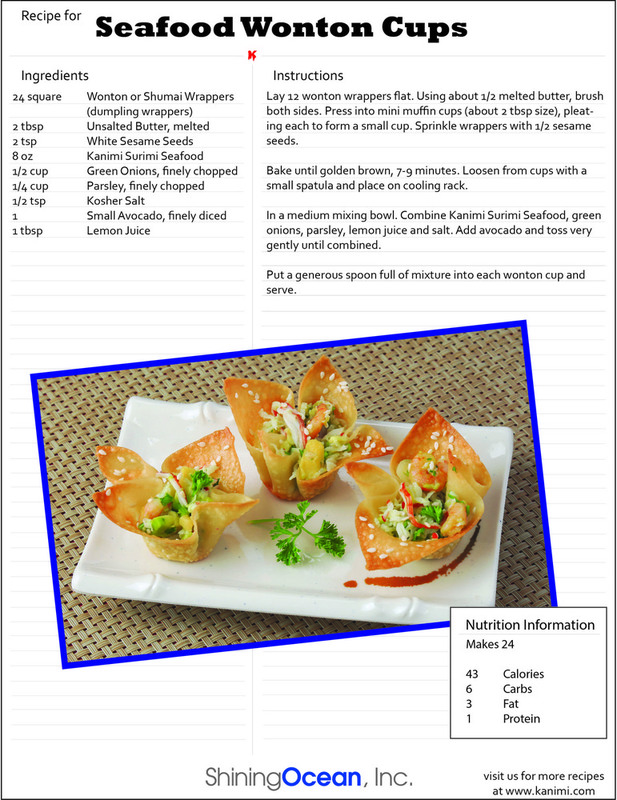 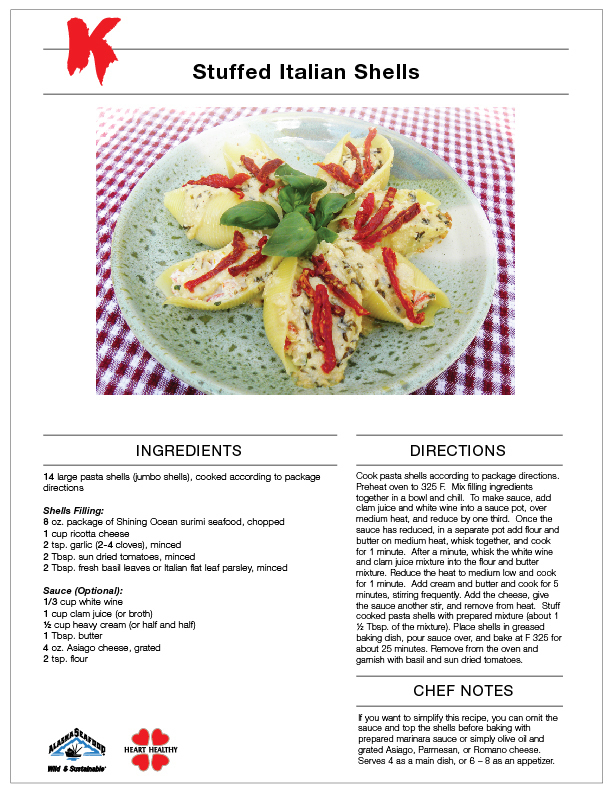 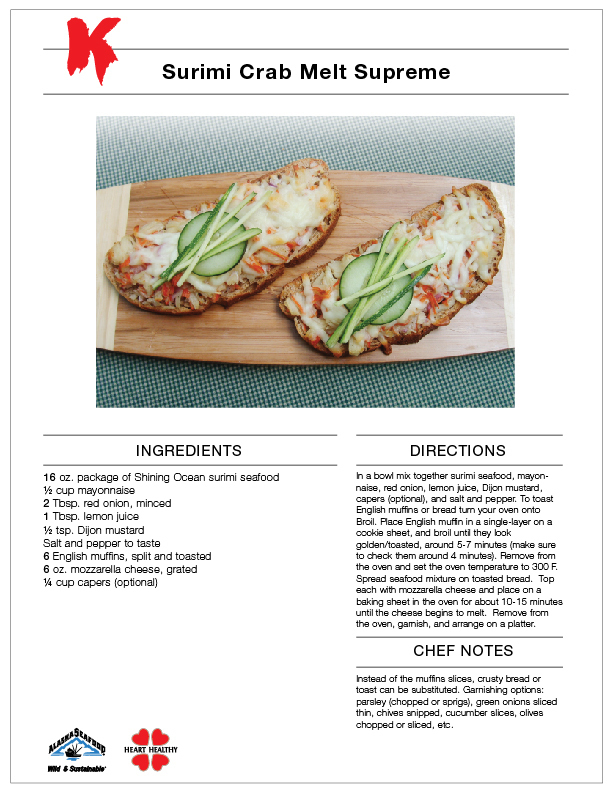 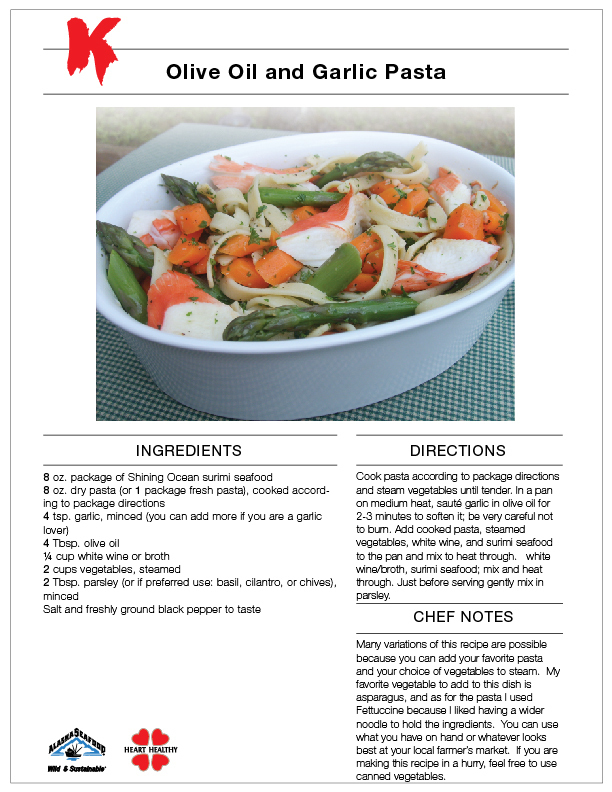 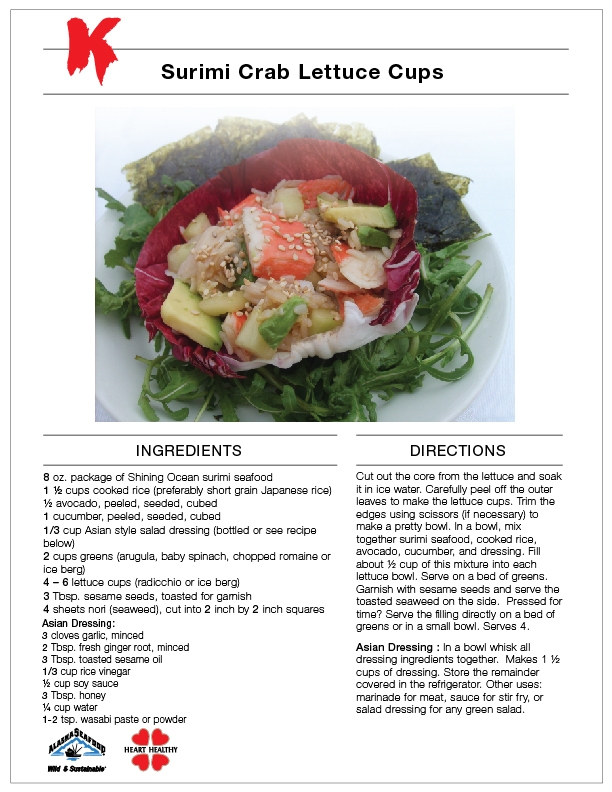 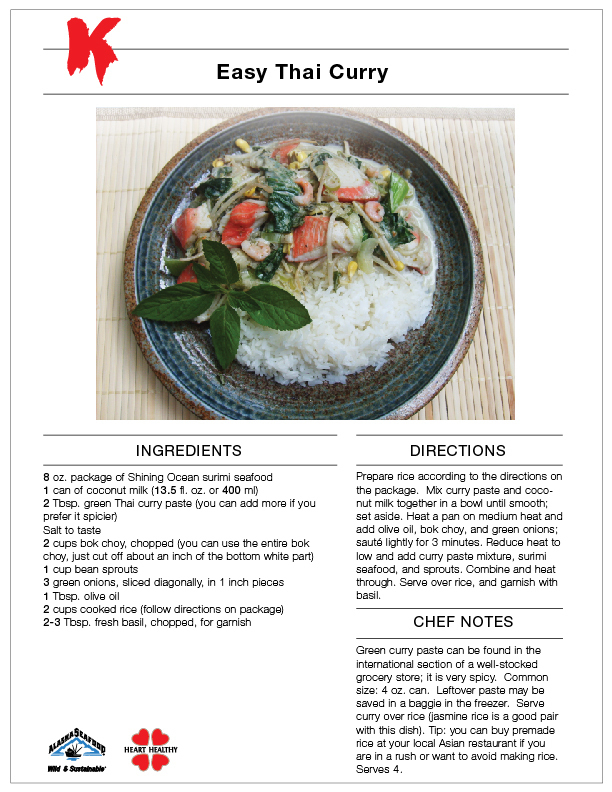 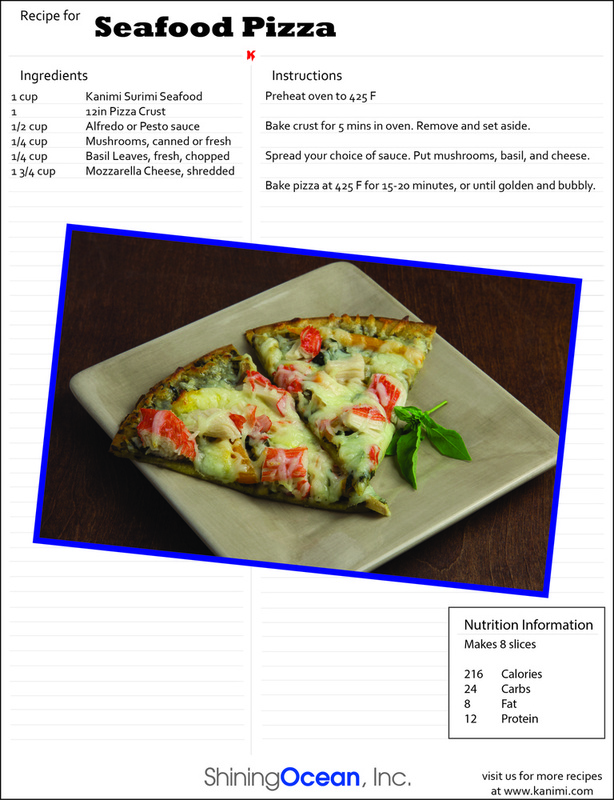 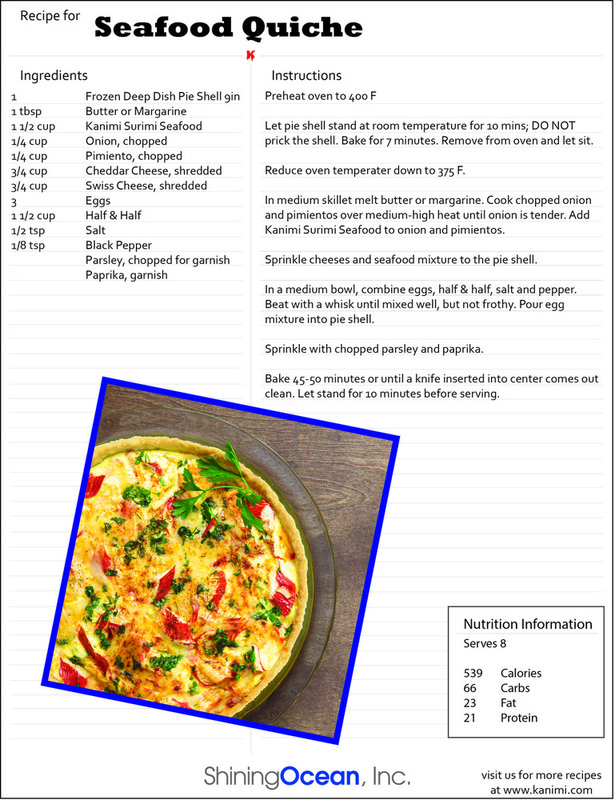 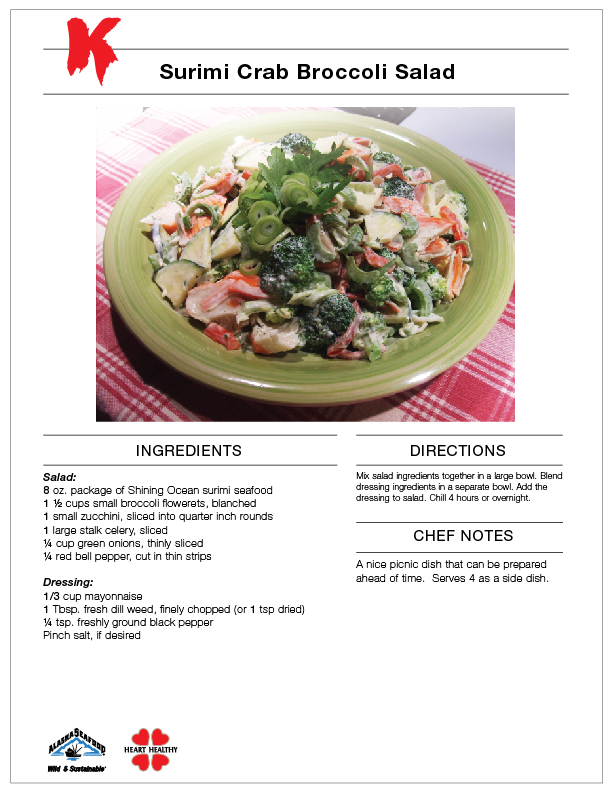 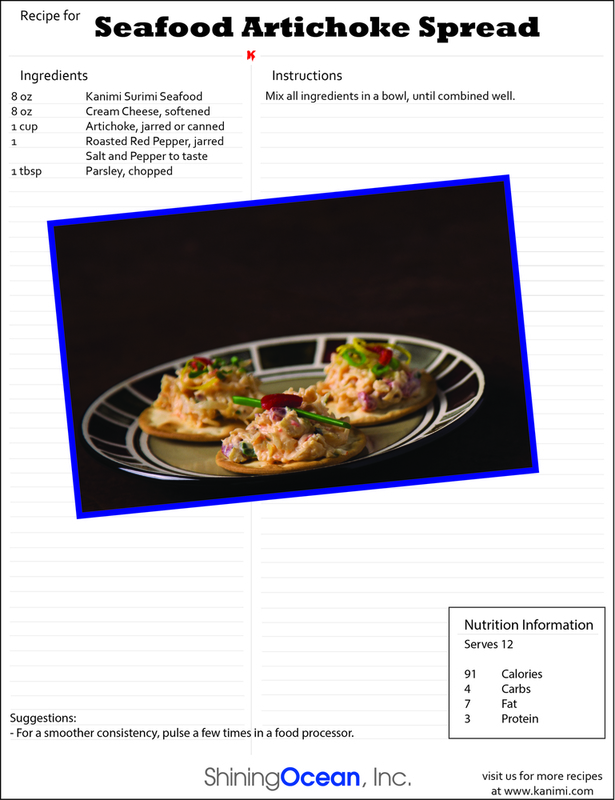 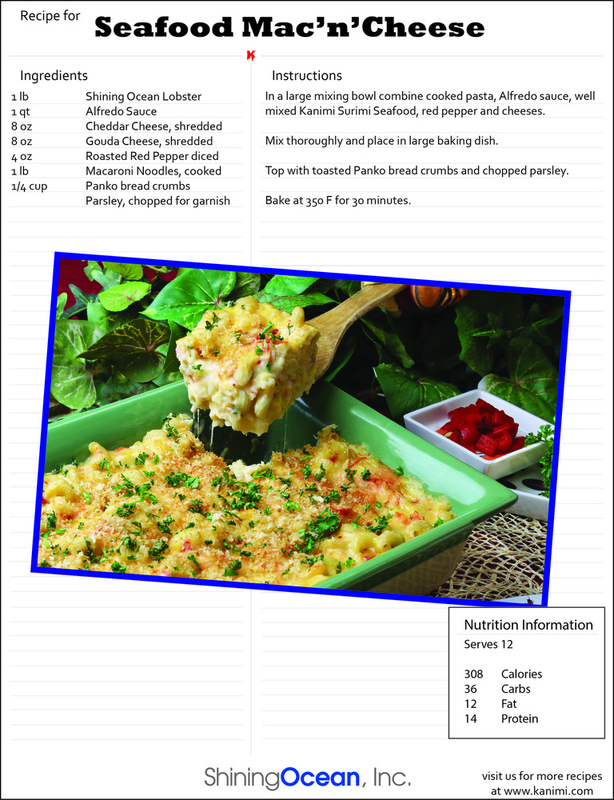 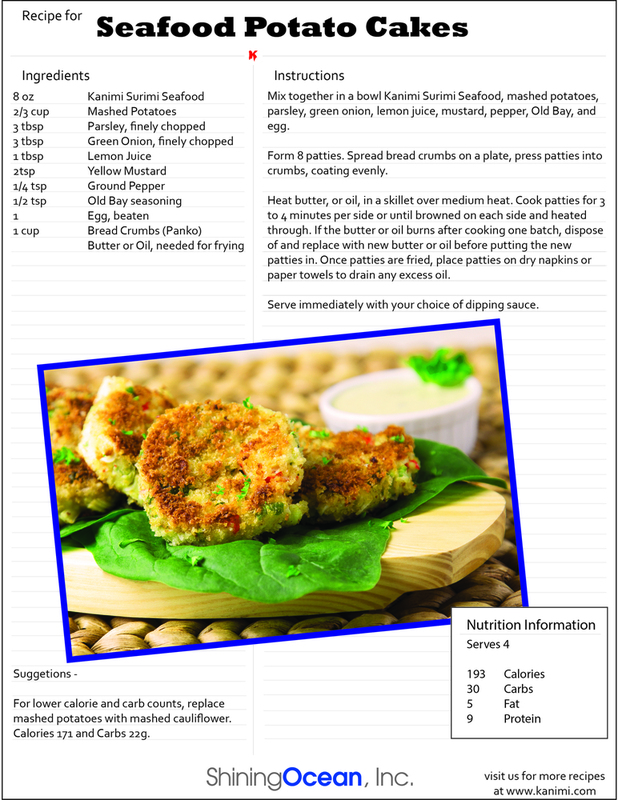 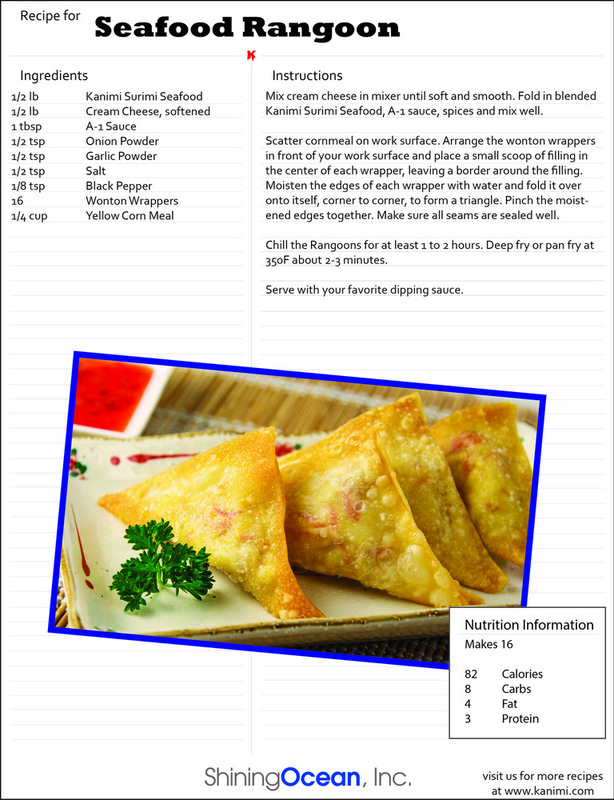 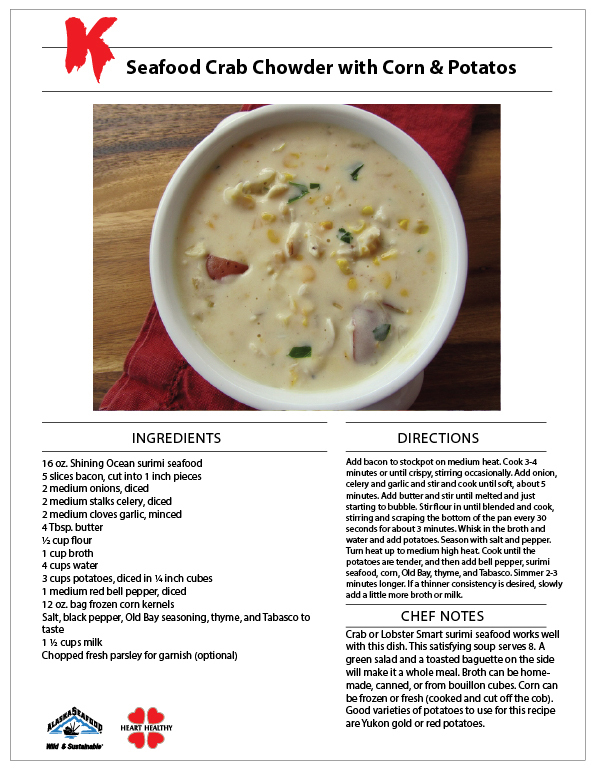 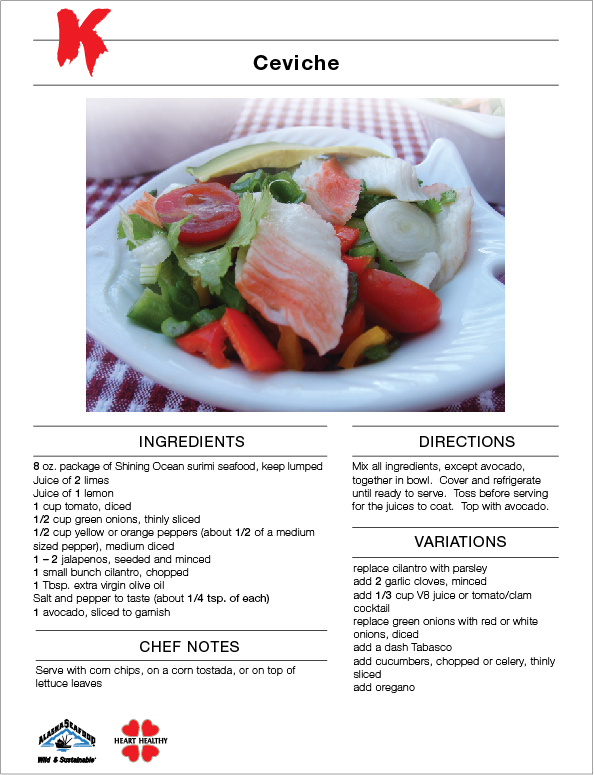 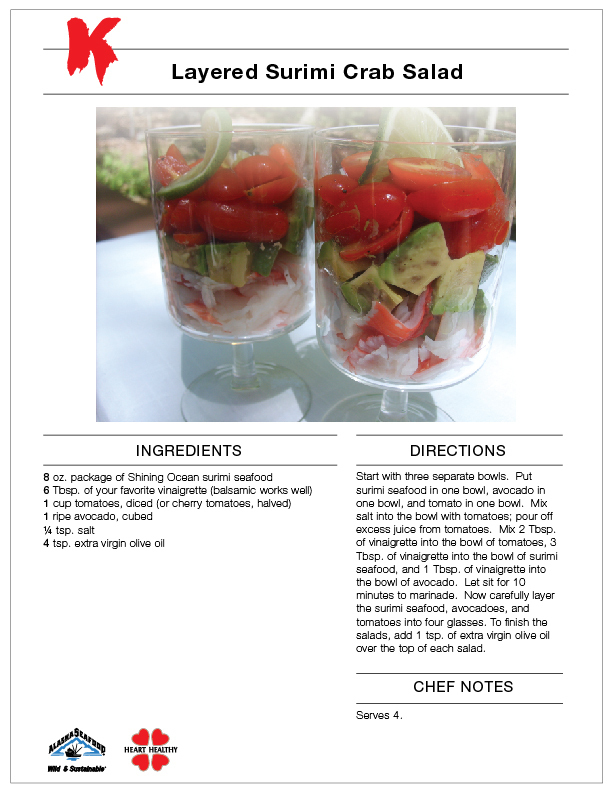 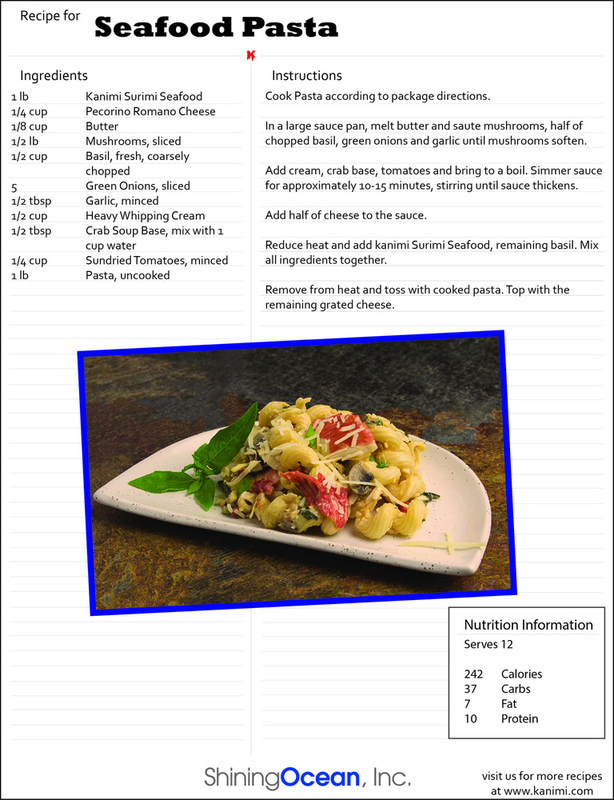 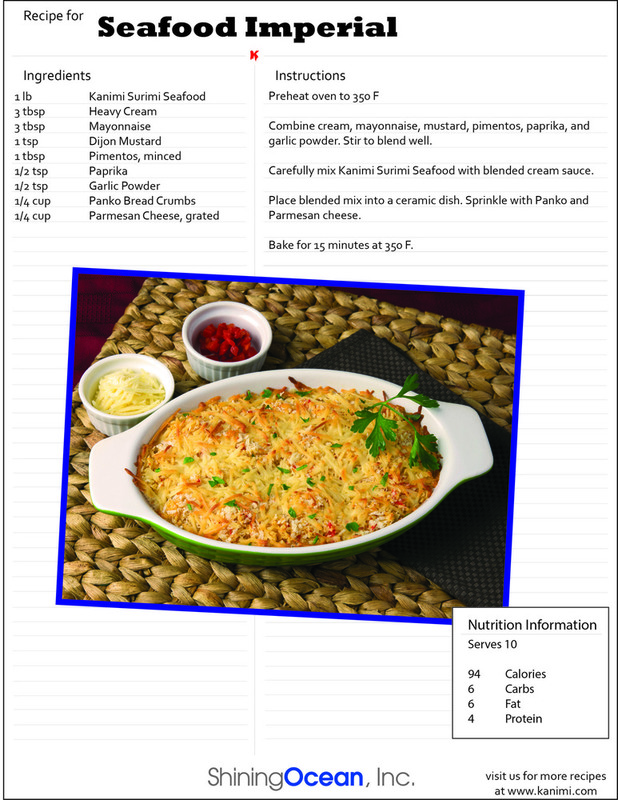 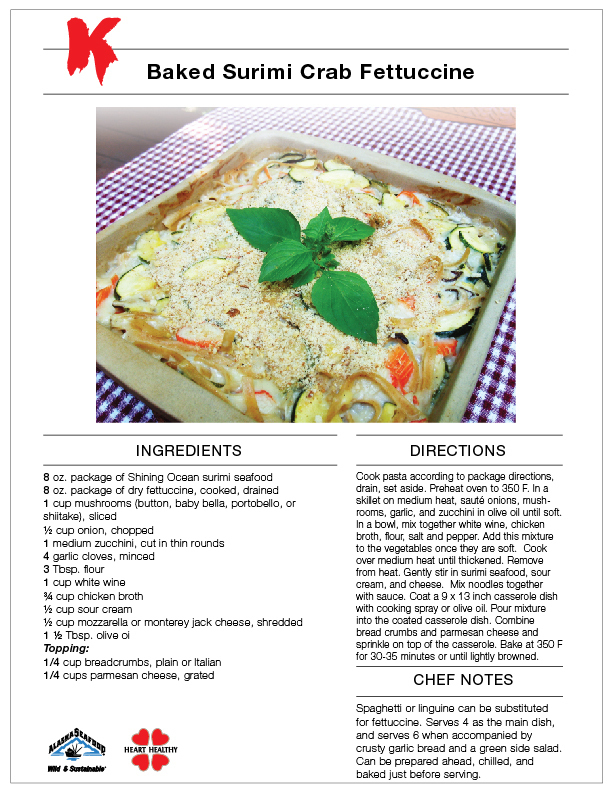 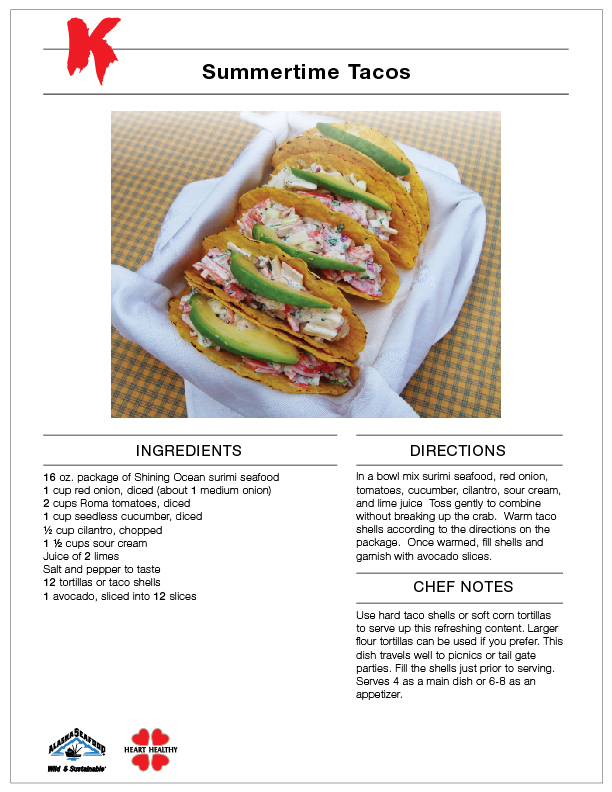 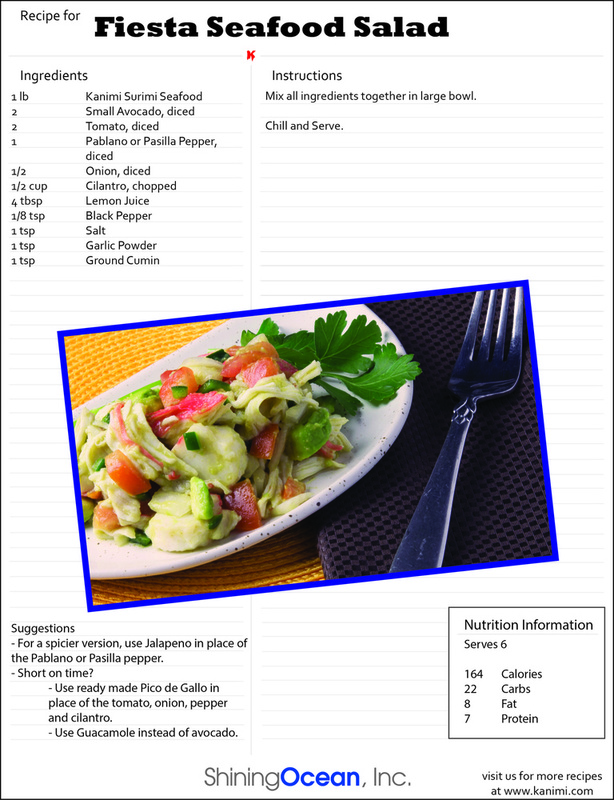 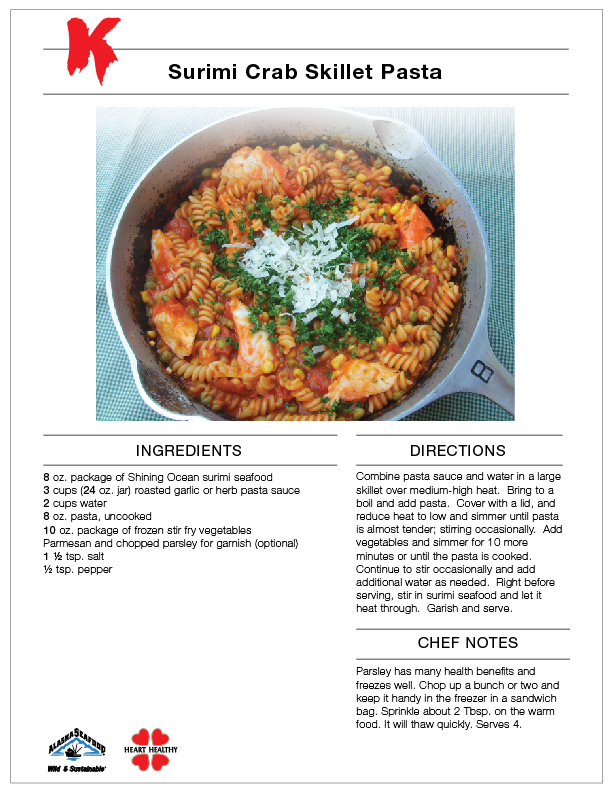 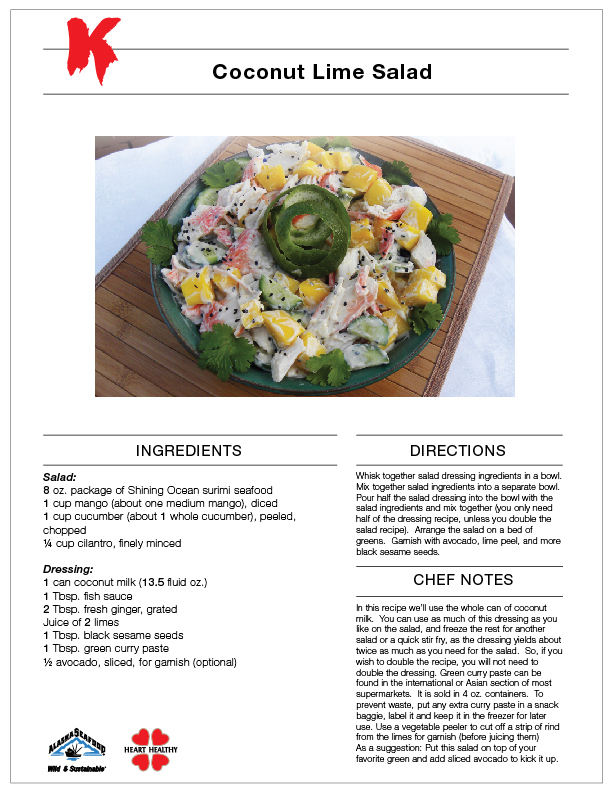 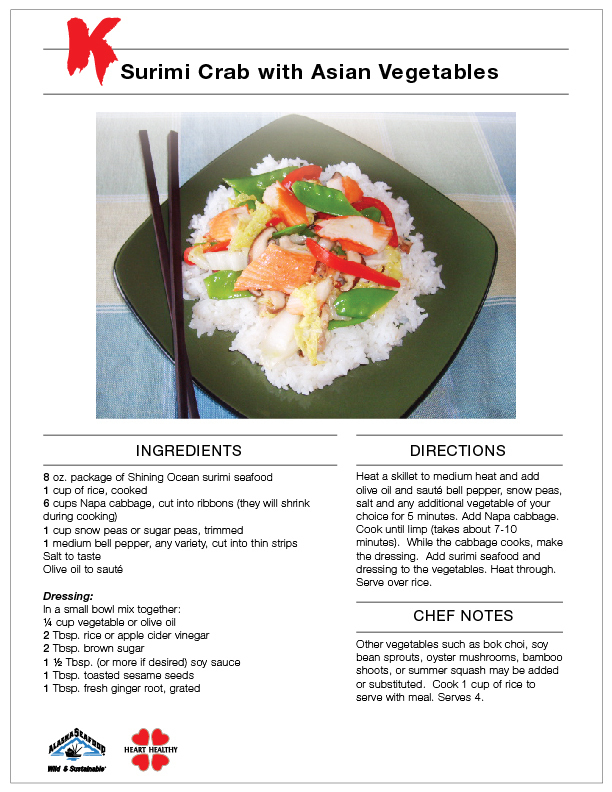 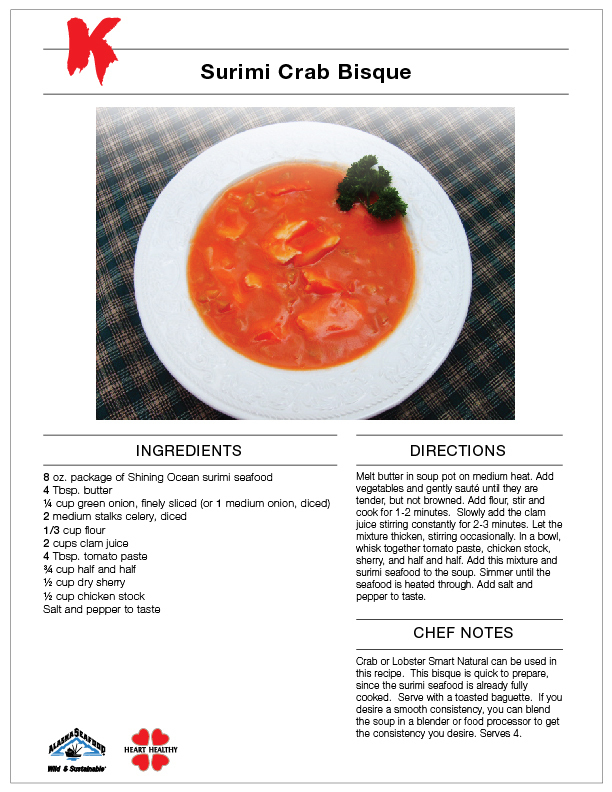 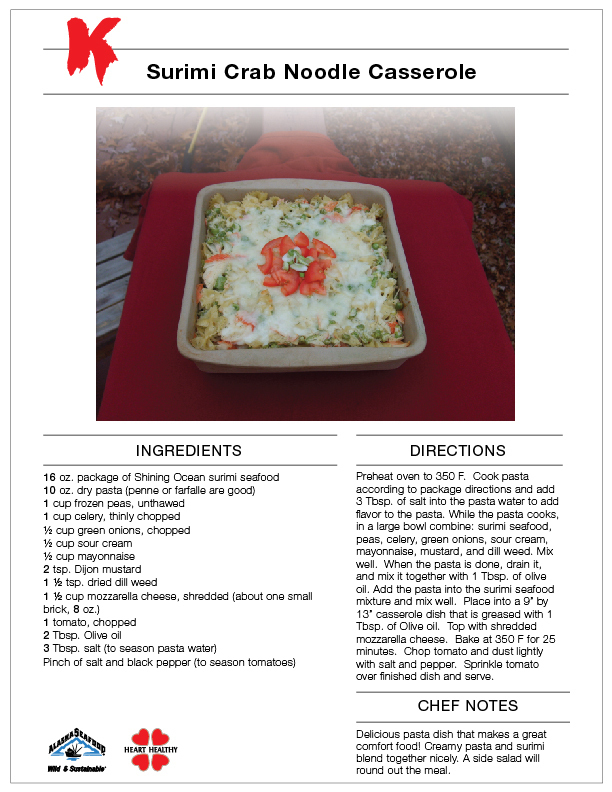 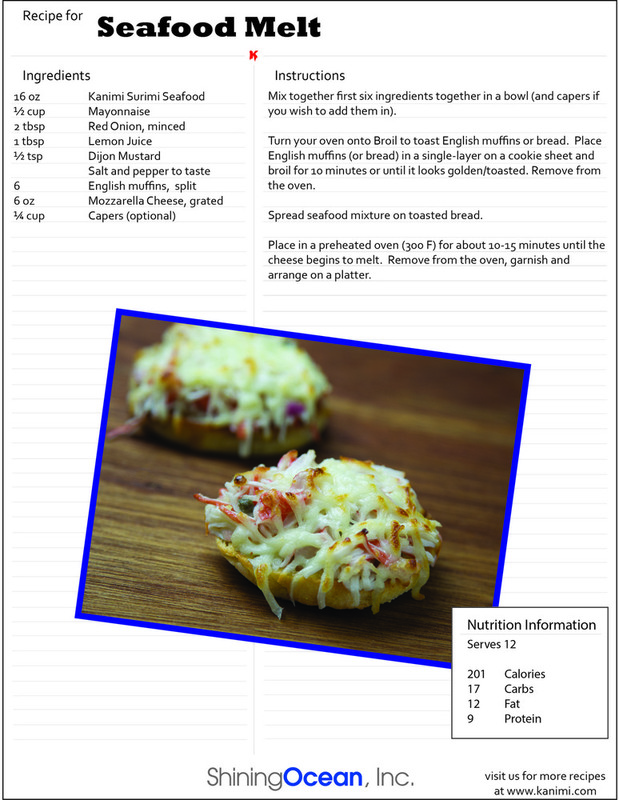 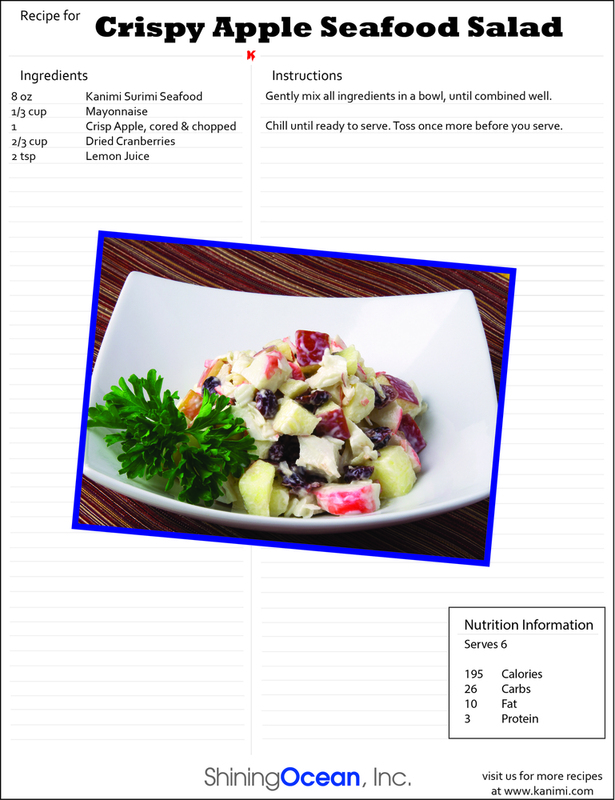 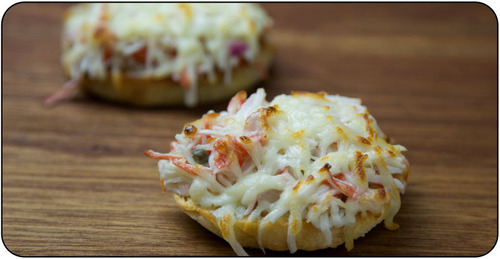 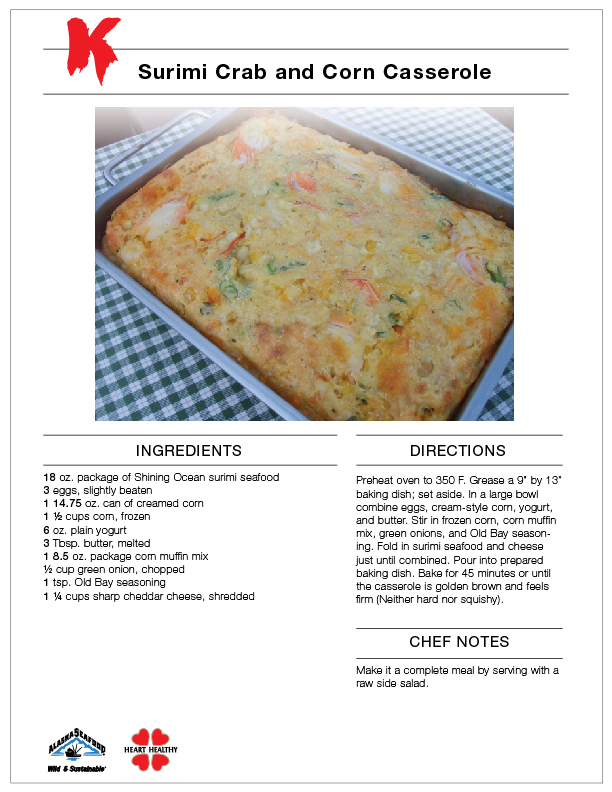 Most of these recipes were created by people like you who have taken our products and found creative ways to incorporate our low-fat, low-calorie, low-carbohydrate, nutritious surimi seafood products into their favorite recipes. 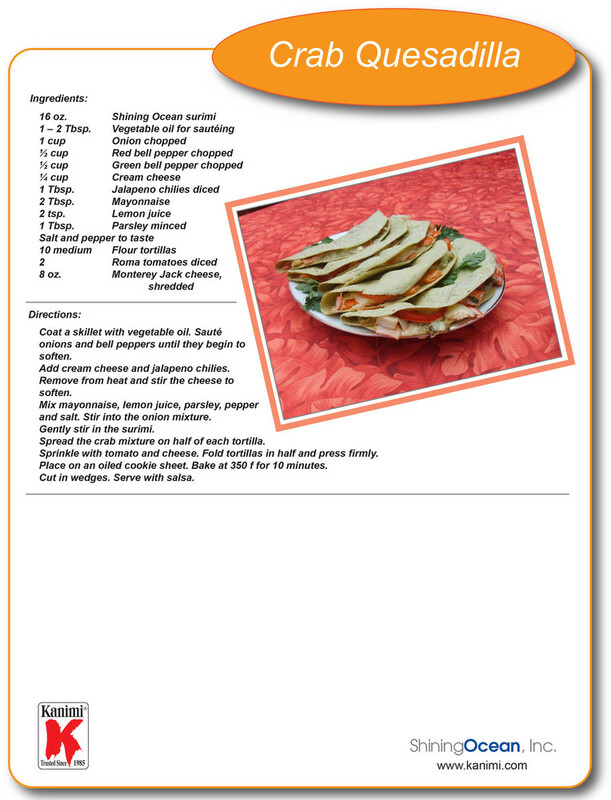 Please let us know if one of these becomes a family favorite, or perhaps you would like to suggest one of your own. 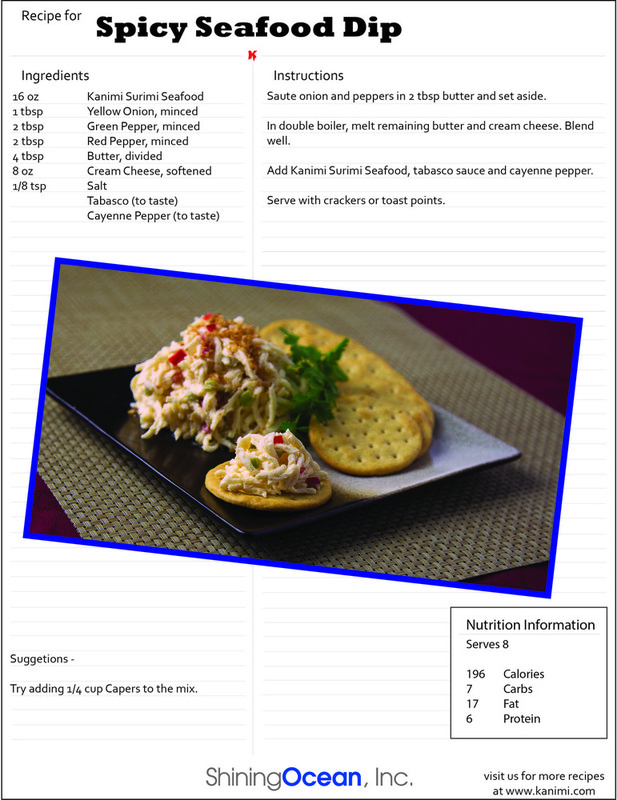 In any case, we love to hear from our customers and hope you enjoy cooking and eating our products as much as we enjoy making them for you.